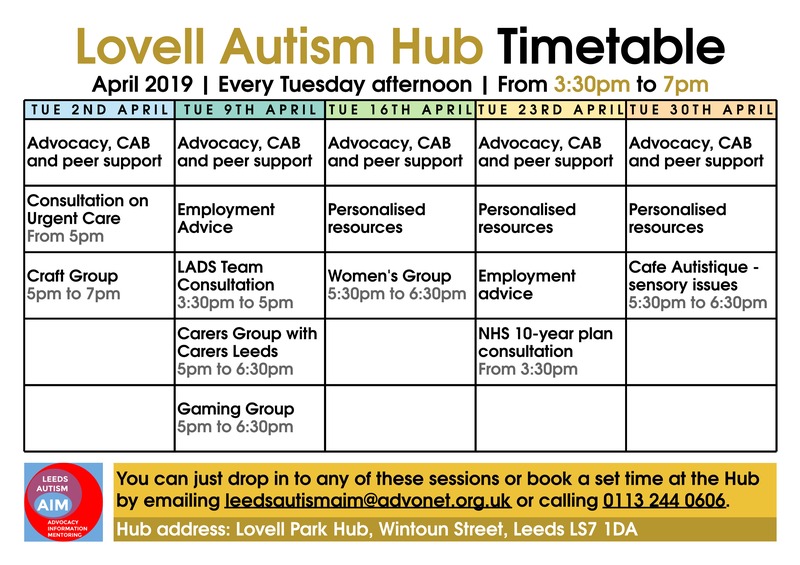 The Lovell Park Autism Hub is a drop-in service, run every Tuesday afternoon by Leeds Autism AIM. The aim of the Hub is to provide information, signposting and peer support for adults on the autistic spectrum and carers who have little or no funded support in place. 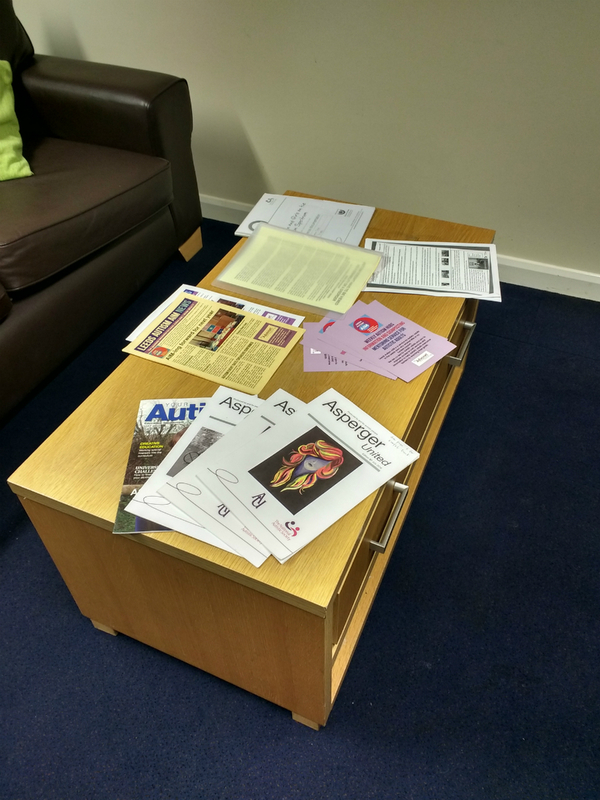 At this Hub, we host workshops, provide useful advice on a range of issues affecting autistic people in the Leeds area and act as a source of information on everything from employment to benefits. If you are coming to the Hub for the first time, it is worth booking a specific time to come and see us, just so we can set time aside to help. You can do so by contacting us. The Hub is held every Tuesday afternoon from 3.30pm to 7pm at the Lovell Park Hub on Wintoun Street, Leeds LS7 1DA. 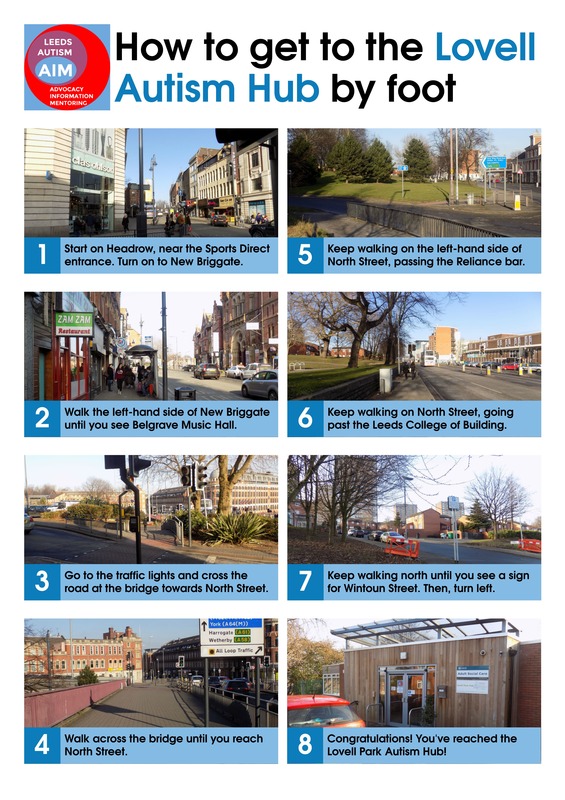 You can get the following buses to the North Street bus stop: 7/7A/7S from Infirmary Street, 2, 3/3A and 12, 13/13A from Vicar Lane and New Briggate. The 2 and 3/3A from Roundhay/Gledhow via Chapeltown, Chapel Allerton and Moortown stop on North Street. The 12 and 13/13A do too, going from Roundhay via Harehills. The 7, 7A and 7S from Alwoodley, Shadwell and Moortown go there as well.